Hybrid design great for Endurocross and extreme enduro-type conditions. Made for low speed, technical riding only (less than 25mph recommended). Super-soft and flexible rubber compound for maximum bump absorption and terrain compliance for obstacles like rock gardens and log crossings. High wet-traction compound developed by top pro Endurocross riders. Open aggressive drive pattern for max grip and cleanout. Shoulder knob pattern designed for large contact patch and support for soft compound during cornering. Ultra soft casing for maximum terrain adaption. I really like this tire. It worked well in both sand and rocks.I don't feel like it gave up anything when it came to braking either. Had some icy, snowy sections where the traction was good also. Defiantly would recommend. I thought it would wear out when I saw some light chunking on the new, sharp edges from my first round of Endurocross, but after they rounded just a tiny bit, that all stopped and now they've served me really well, gripping wet roots and rocks day after day with no complaints, knobs still standing tall. I run them at 8.5 PSI with Tubliss. I'm guessing they'd get thrashed if you are dumb enough to spin them on hard terrain with higher PSI like 12-14, but you shouldn't be running that high anyway. I spooned this Tyre on with great expectations for a two day balls to the wall ride down east in Maine. Very rocky conditions. By the end of the first day I was losing a lot of knobs by the end of the second day the tire was junk! Loved it in the stones, had super good grip ?? My favorite tire ever (while it lasted) and I have gone through many many tires. The sidewall is stiff enough to use with tubliss so that if you get a flat and ride on it, it won't damage the tubliss liner. Unlike the shinko cheater tires. Those sidewalls are too flexy and will damage your liner. To me this tire compound is very similar to the 525 cheater except it seems to do better in the sand. Eventually (after about 6 hard rides) the tire started leaking air out of all the torn lugs. Great price, availability, grip, ware and quick delivery to my door next day. Super awesome grip in the rocks and hard packed stuff and especially when your ding done extreme enduro stuff. 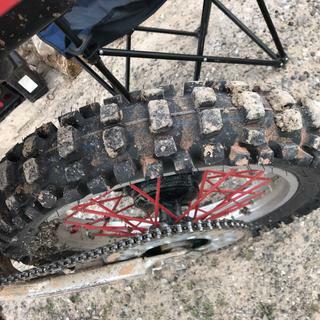 This tire lasted a good long while and I even used ITP some Harescramble and if your comparing it to some of they other soft tires the price and availablity was great from Rocky Mountain ATV, highly recommended. First, let me say, traction is amazing. Especially side-hilling or leaned over in loose, rocky terrain. That being said, durability is the negative. After one afternoon ride on our Rocky Mountain single track, I see trouble. The center knobs are starting to crack at the base. (I am not a tire spinner) I realize these "sticky" tires have a shorter life span, but I'm surprised at how short! The Kenda Equilibrium gives me excellent knob life. Recommend for low speed trails , technical..NOT rcommend for desert riding or high speed. This a good tire on soft trails..or technical trails..great for that..i used it for a dry desert race, high speed lots of breaking & skidding..at the end of the 70 + miles race the tire was done..Also it felt like I had a flat and to soft riding I keep checking pressure in tire and it was the same. switched from a Dunlop trials tire. The Kendra does all that the trials tire did and more. I rode up slick granite faces. roots dry deep powder, loose rocks trails filled with pine needles did everything except mud. I even went super slow to see if I could get stuck. Hardest part was keeping the front wheel down. It does have more impact on the trail but if the bike is ridden correctly it is not much more than the trials. I ran 7 psi on the rear tire. I joke around with my riding buddies but I'm serious about it that this tire definitely made me a better rider. This tire is great for rocks and loose rocks and even does great in loose dirt. I've done alot more with this tire then i used too. After 7 hours of woods riding the tread looks barely used. Cover the clutch as you will find traction you didn’t have before. Will buy again. Unbelievable amount of traction is all you need to know for this tire. Only negative I found is you can’t brake slide as much as you can with a standard knob. Good value for its intended application. Great forward traction over anything in its path. Wears better than I would expect. Sketchy cornering when riding aggressively because it’s so soft in grasstrack etc. good for Enduro’s where necessary, to mushy for hare scrambles. Only tire for the gnar. I’ve yet to find a terrain that it doesn’t hook up well in. Wears surprisingly well for as soft of a compound. Doesn't last, knobs ripped off at base! 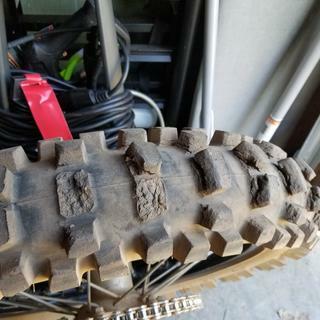 MY son rode with this tire on my wr450 for 2 rides, knobs were starting to peel back with grass embedded at the base of the knobs after 1 ride. Second ride knobs torn right off at the base. Good initial traction, but doesn't hold up at all. MITAS 946 is a much better tier all around. I 100 % don't recommend this tire. If you ride mostly intermediate to hard terrain, dry or wet, this tire is nothing short of exceptional. I've done a WNYOA Hare Scramble and ECEA Enduro on my Ibex (Tubeliss setup / 7psi). On the rocks / roots / hardpack, it's amazing. And when you get into the occasional softer stuff, the MX like knobby's do an excellent job. It's a Trials Tire on steroids. As far as durability, it's excellent. Takes a while to round the treads, and even when they wear, the tire still hooks up reliably. Great tire for Knarly slick rock sections. Very soft compound for the grip in the knarly spots. After one enduro race in March and about six or so training rides, the Ibex met its end. I would venture to estimate that the tire lasted under 150 miles in what I assumed was the terrain the Ibex was supposed to excel in. The problem is, it can't handle the terrain between the slick rocky sections it is so good in, especially at higher speeds. 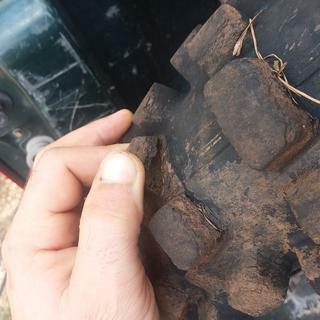 Loose sharp rocks in dry conditions will destroy these tires incredibly quickly. That being said, they are amazing on slick rock slabs and roots and provide a very plush cornering feel that I really enjoyed. I liked them so much in the corners in fact, I took them out to the local MX track and it performed incredibly well on a prepped track for an enduro tire. Overall, I want to like the Ibex, but for my dollar, the durability is just not there. Have tried Dunlop, Michelin, IRC and by far this is the best tire for Woods/Enduro. Tubliss @ 6.5 PSI and the traction is phenomenal everywhere. It will hook up over logs and roots. Cannot say on Tread life yet but so far after 100+ miles of Trails, it looks pretty good. Ran a mud race with this tire and it performed very well. No comment on durability yet, but love this tire so far! Great grip and decent tread wear for conditions here in Ohio. I like the low profile which helps my 5'8" frame touch the ground. The price is great also compared to some other brands. patched from the inside when I got back to my truck. 2nd day & 5 hours later (hour 9 of tire life) more than half of knobbies on centerline had a tear on leading edge. & yes traction was awesome, fast slow,rocks, sand. but doesn't matter if it can't get you home. I put this on my KTM and took it first to the mountains and then to the snow. Great traction in both terrains. I like the Kendas on my bike. The sidewall seems stiffer than the Equalibrium and I prefer the feel of this tire's traction at slow and higher speeds. My go to rear tire for hard enduro. I have tried a lot of rear tires, but this one is my go to for all conditions I encounter. It hooks up in the mud, rocks, and everything in between. It is a really soft gummy compound, but holds up well considering how soft it is. It is also very easy to mount. Good traction, doesn't hold up to heavy bike/rider combo with the torque from a big 4 stroke. Right from the start the tire felt squirmy and almost had a riding flat sensation on hard pack frozen ground. Running heavy duty tubes. Played with pressure from 9-18psi with no real sweet spot but settled at 11 hoping for decent pinch protection in the rocks and decent grip on the less than ideal surface conditions. Varied snow covered desert terrain, mostly flat. 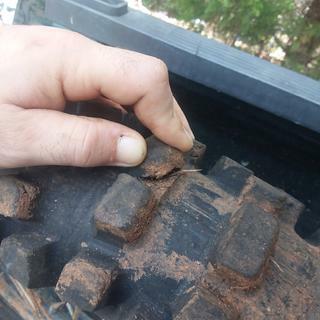 On a 280lb bike with another 280lbs of rider weight combined with the torque from the 600 even very mild on the throttle at the end of a 40 mile ride there are cracks around the base of every center knob and looks like it's gonna start ripping them from the carcass at any moment. Traction in the sand and rocks was good. Wasn't really intending this bike or tire for desert riding but my yz was down for an engine rebuild so the thumper went out. Hard to believe this tire would even make it through a normal mountain ride trip after seeing the cracking around knobs from this short jaunt. 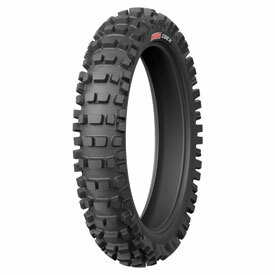 Heard great things about this tire from multiple ktm 300 riders, but appears the big bore 4ts may be too much for it. So far, a great tire. I'm running this for winter riding with some gripstud brand tire screws in the front and rear. Holy cow!! Hold on, I haven't blasted through snow on tires like this ever before! The ibex is holding up really well with the right screws, I'm very pleased with everything so far. 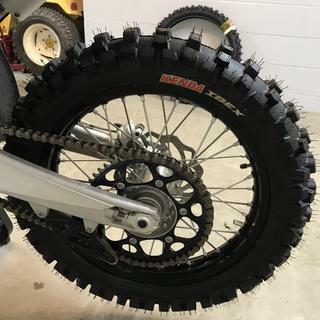 I haven't had any riding on them without screws but I guarantee they will be great for the guys who want traction over longevity. I don't think I'll be running anything else for a while. I normally run bibs to avoid any possibility of a flat. Is this new Ibex tire compatible with bib usage? BEST ANSWER: Yes, Nitro Mousse was the only bib that fits Michelins are to big. I have seen people run bibs with this tire but we run tubless. Yes, I run 2 Ibex tires out on bib and still running strong. Is this tire DOT approved by chance? BEST ANSWER: I can't believe that it would be DOT approved. 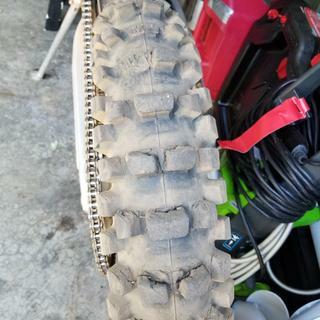 The tire is super soft and would wear fast on tar, but it is an amazing intermediate to hard terrain tire. No - - Equilibrium is though. how much does the 120/100-18 ibex weigh ? BEST ANSWER: Its not that bad, Its no moto tire but AMAZING TRACTION. Ive never felt and issues with weight, and I run a ultra heavy duty tube..
Couldn't tell you the exact weight but it felt fairly light and I do not notice any issues while riding as far as weight is concerned. Seemed similar in weight as the other tires I've run. I thought Kenda only made this tire in a 90/120 18.....?? BEST ANSWER: The 110/100-18 just released recently. That is what I bought.